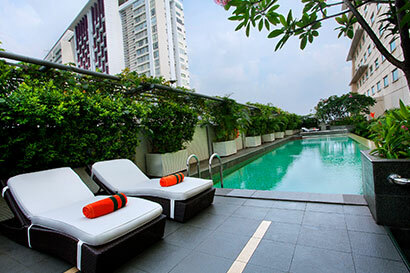 Located on 5th Floor and open from 06.00 AM to 10.00 PM daily. Whether you are swimming for leisure, fitness or entertaining the kids, our pool facilities will meet and exceed all of your expectations with Length 24,5m and Width 4,57m. 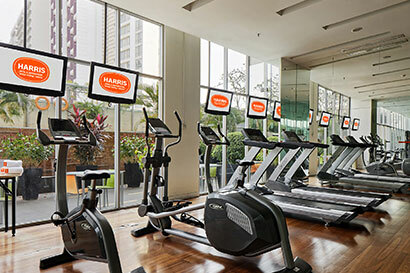 Located on 5th floor and open from 06.00 AM to 10.00 PM, give you stress-relieving, safe, convenient, and enjoyable exercise. Whether you are staying or visiting HARRIS Kelapa Gading, we have a 24 hours Boutique shop available in the Lobby Area. A specialized treatment for the your body, Spa and Reflexology can encourage the release of tension and stress. Located on 5th floor.